The mark of a good assassin or rogue is that your mark never sees you coming. In the event that your mark does notice you, it is always a good idea to be well-armed and armored, and in this Assassins Armor, you will definitely be both. 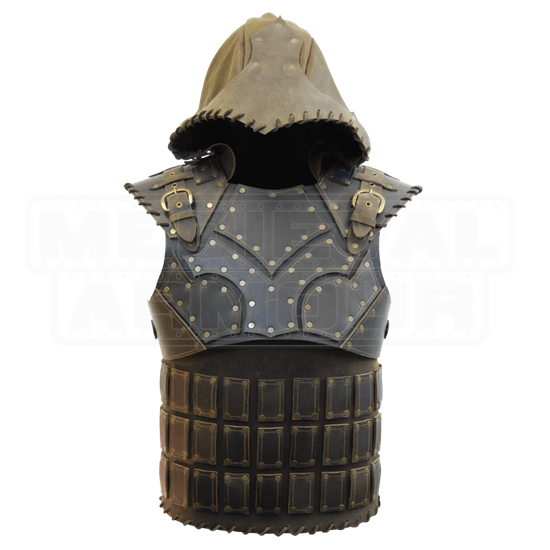 This roguish armor is made for agile movement, making it the perfect protection for mobile types who like to hit and run, or at least dodge and roll when they are engaged in combat. 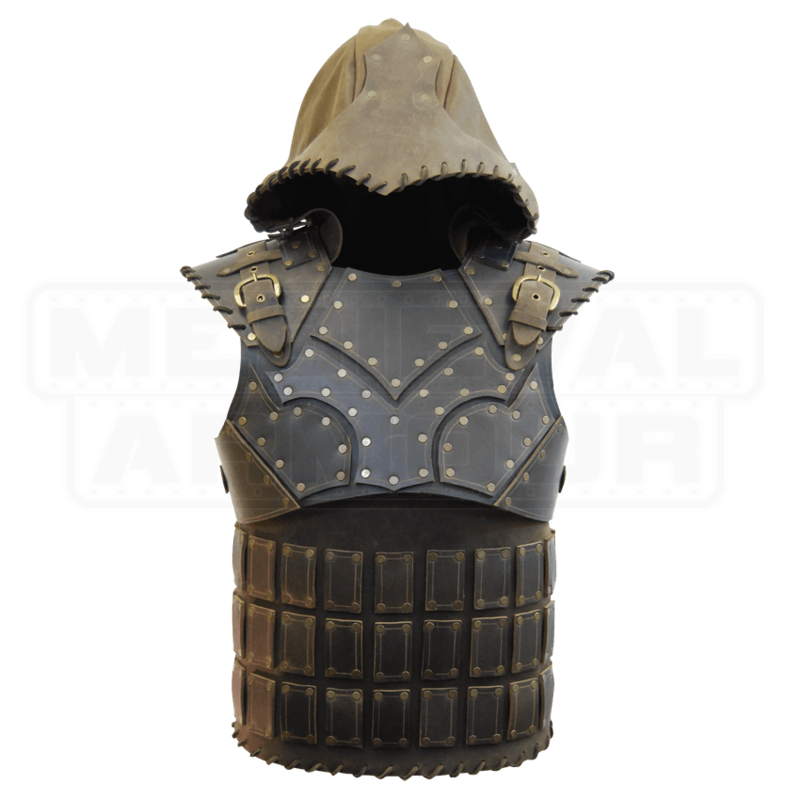 The armor consists of a cuirass and flat abdomen that have been reinforced with several small leather plates. Mounted on the shoulders are two belted, buckled straps that suspend sword frogs, ensuring that you can also keep two blades within easy reach over your shoulders. Because they are belted, the frogs have a bit of movement, making it easy to swiftly draw the blades. They can also be removed if you wish to go without or just want one. The final touch comes in the form of an attached hood, which is perfect for hiding your face wherever you go. Thanks to its belted straps, the armor is quite adjustable. For the best fit, you should order your armor as close to your size as is possible. Please note that the above picture shows how the attached frogs work. The weapons are not included with the leather armour. In this Assassins Armor, you will feel and look like a true rogue, ready to slip across the battlefield like a stealthy shadow, executing any warrior unlucky enough to cross your path. Amazing quality. EXACTLY like picture. Very happy with purchance. Worth every dollar.